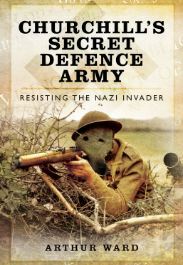 In March 2013, Pen & Sword will publish an update of Arthur Ward’s 1997 book ‘Resisting the Nazi Invader’. Arthur informs CART that this version has lots of new photography, a new introduction featuring interviews with CART Founder Tom Sykes, Aux writer John Warwicker, and a significantly amended chapter that includes transcripts from interviews with Auxilier Bob Millard. The book is dedicated to Geoffrey Bradford who Arthur knew well and who, coincidentally, introduced him to Bob Millard in 2004.